University — Academic Housing Rentals Inc. This is a 2-bedroom apartment with 5 beds is in a luxury building in the heart of downtown Berkeley. Set in an ideal location, this apartment is one block from Downtown Berkeley Bart and one block from UC Berkeley campus. The apartment is located in a new, clean, and modern Mediterranean-style building. Located in the heart of downtown Berkeley, close to shops, restaurants, one block from Downtown Berkeley Bart, and one block from UC Berkeley campus. The apartment is fully-furnished and perfect for students, academic professionals, and others looking for either a semester or academic year rental. It is walking distance to restaurants, stores, theaters, groceries. The apartment is available for the Fall, Spring & Summer semester. One bedroom is furnished with a bunk-bed and twin bed (3 twin beds), while the other is furnished with two (2) Full size beds. Fully furnished 2-bedroom apartment in a luxury building located in the heart of downtown Berkeley, close to shops, restaurants. It is a close walk to Downtown Berkeley Bart and UC Berkeley campus. One private room has two twin-sized beds (bunk-bed) with a single twin bed. Another private room has two full-sized beds (bunk-bed). Fully-equipped kitchen with eat-in dining, complete kitchen appliances, cookware, utensils, gas stove, microwave, fridge, and stainless steel appliances. Located in arguably the best part of Berkeley. 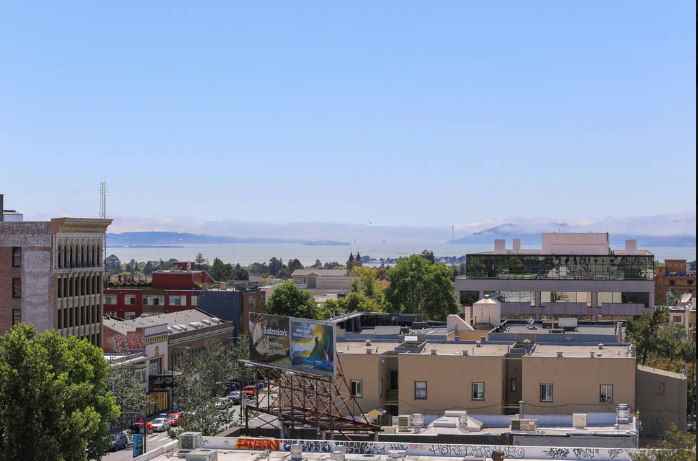 It is in the heart downtown Berkeley where you can shop, go to the theater, a few blocks from UC Berkeley campus, and hop on the BART to visit San Francisco and other parts of the Bay Area. Within 7-minute walk to Downtown Berkeley Bart Station. The address is a walker's paradise as daily errands do not require a car. This location has good transit which means many nearby public transportation options. Car sharing is available from City CarShare, Zipcar, RelayRides and Getaround.